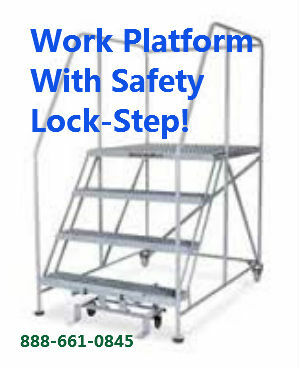 Rolling Safety Ladders Available For Any Job! 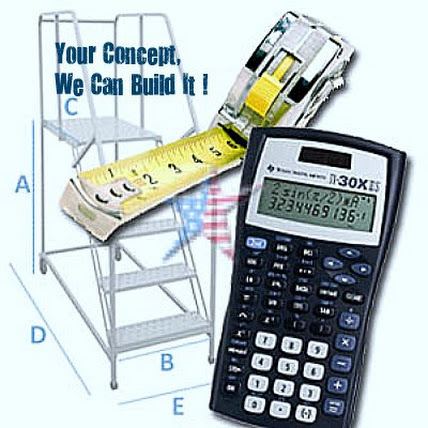 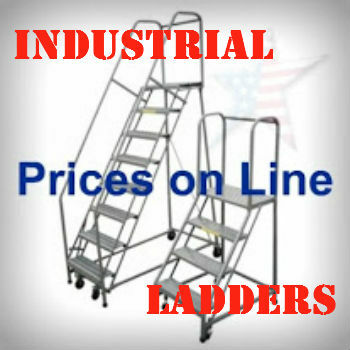 Talk to a Courteous Industrial Ladder EXPERT ! 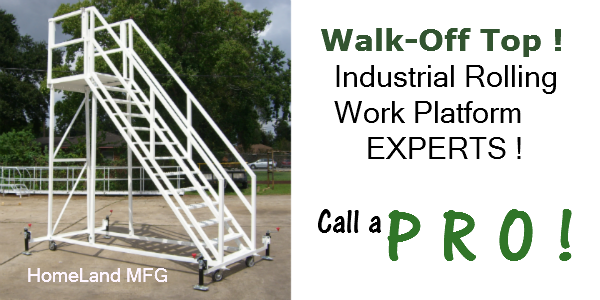 Optional Walk-Off Platforms Available. 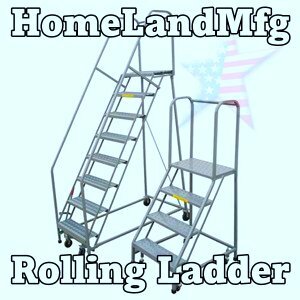 Rolling Safety Ladders are often called a Rolling Commercial Ladder & are priced here. 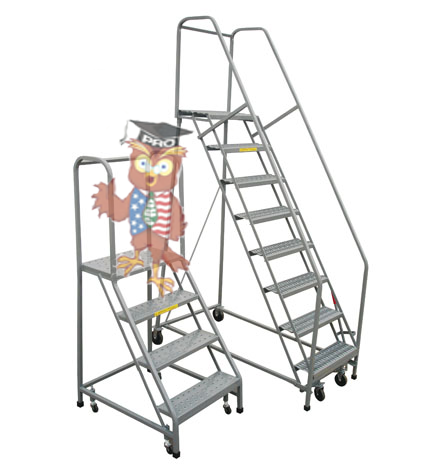 Warehouse Rolling Ladders are used at Home Improvement Stores. 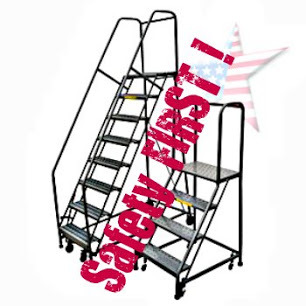 They are called Rolling Safety Ladders because of their locking caster mechanism and OSHA safety standards. 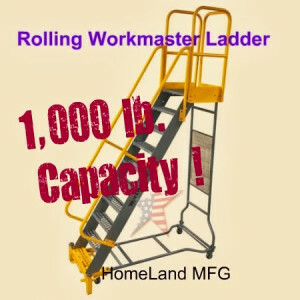 These work-horse Rolling Ladders ( Rolling Warehouse Ladders) are made of rugged 1 inch square tube design. 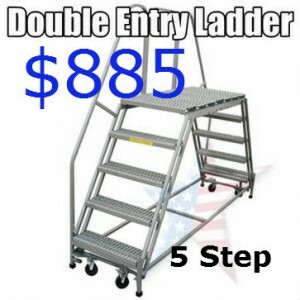 Standard features are a weight activated "Lock Step". 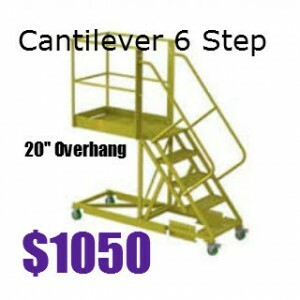 The handle on the side is designed to release the lock with ease. 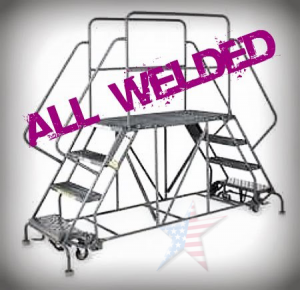 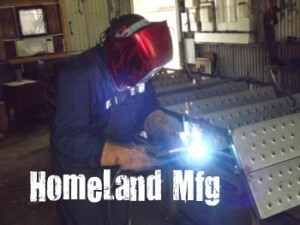 We can build these with a longer platform, walk off top safety chain, 6 wheel turn and GALVANIZE them too! 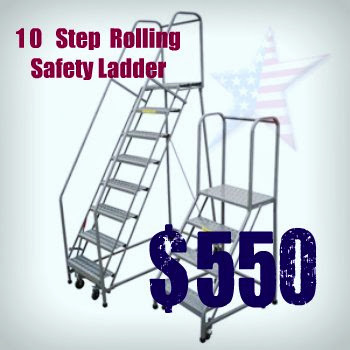 We are Rolling Safety Ladder PROS!